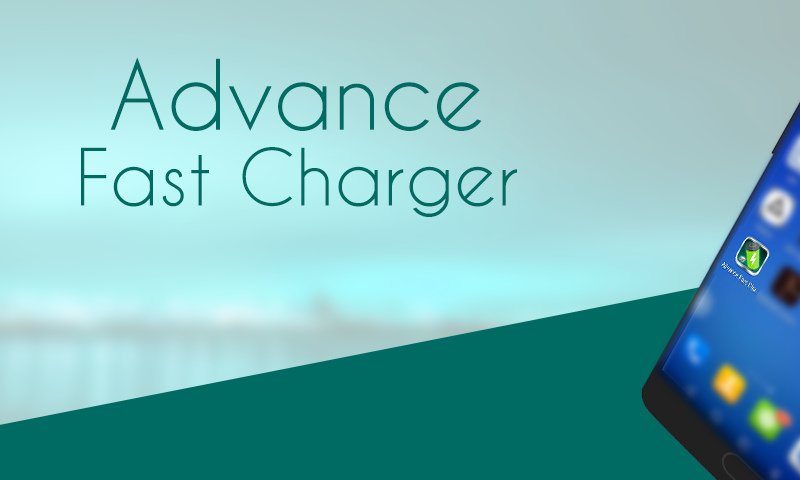 Advance fast charger is complete tool which can boost your charging speed, Your device runs a lot of services and applications in the background, 3G connectivity, WiFi, Bluetooth, GPS and many more, it consume a lot of energy when battery charging. Fast charger monitor all apps that drain power and remind user about high consumption apps, Advance fast charger monitor battery and shows battery life and usage. Fast charging will help your device to turn off unnecessary services and optimist device configuration that uses least energy, It can charge battery very quickly, According to tests this will reduce your charging time by 30%-40% but these results depends on devices.Fast charging not only improves charging time but also extends your battery time. To keep running fast charger in background press 'home’ button. 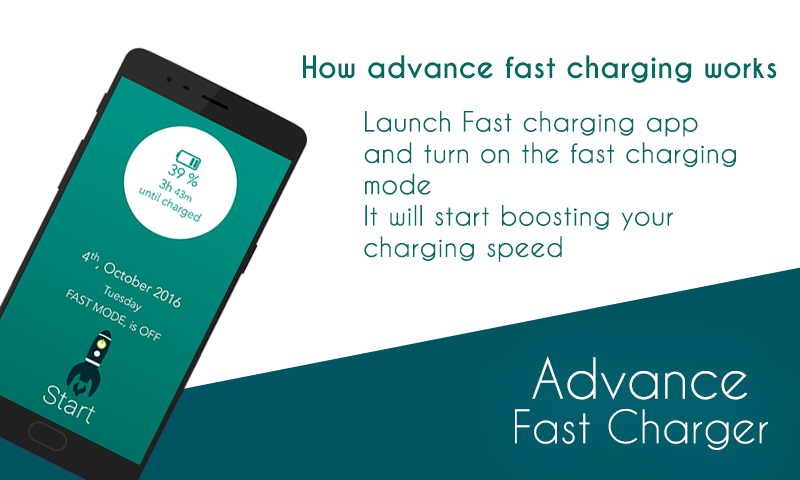 How advance fast charging works: Launch Fast charging app and turn on the fast charging mode It will start boosting your charging speed. Advance charger features: ☞ Automatically turn off internet, 3G, WiFi, ☞ Automatically turn off Bluetooth. ☞ Automatically reduce the brightness of the screen. ☞ Fast charging is free app. 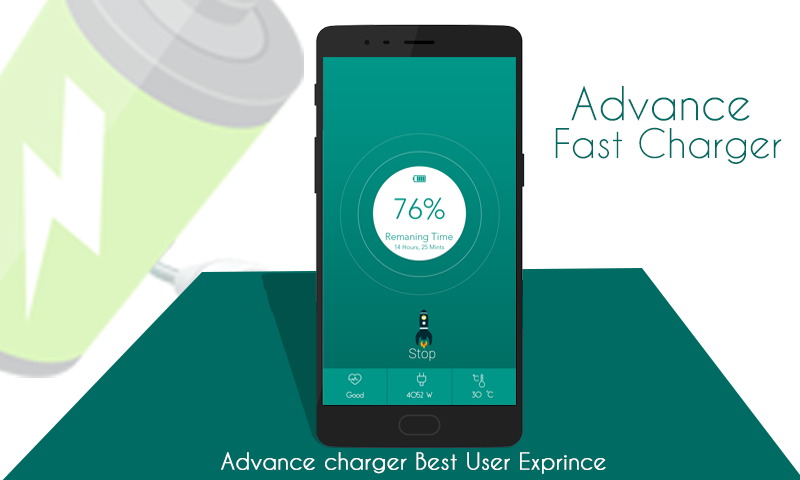 Advance charger Best User Experience: ☞ Nice and User-friendly UI. ☞ Shows the battery capacity in the app. ☞ Beautiful & sophisticated interface. ☞ Easy to use. ☞ Free of cost. ☞ Realistic HD Graphics. We are offering all these features free for all android users fast charging will make your life easy. 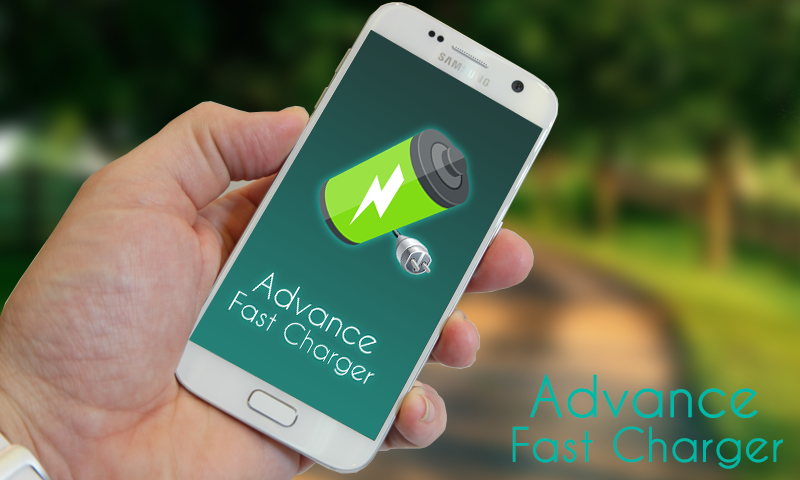 Advance fast charger is compatible with a variety of the latest phones like: Galaxy S7 Edge Plus, LG G5, LG V10, Galaxy Note 5, Vivo Xplay 5, Xperia X, Galaxy Note 7... Please leave Feedback or write a email in case of any trouble. Thank you!  Is Advance Fast Charger yours? Claim it!